magine being in a small boat, drifting in a calm lagoon, surrounded by sand dunes and colorful migratory birds. Then picture ripples dancing on the surface, followed by a spout of water and then a graceful and magnificent emergence of a 30-ton gray whale. 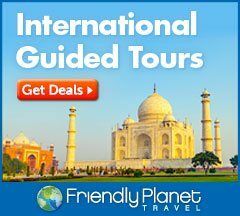 If this sounds exciting, then a trip to Bahía Magdalena with Un-Cruise Adventures is the way to go. 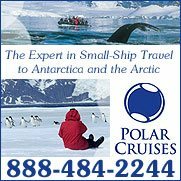 My recent getaway to Baja California came courtesy of the Un-Cruise Adventures, which specializes in small ship travel to some of the globe's most beautiful and pristine locations. 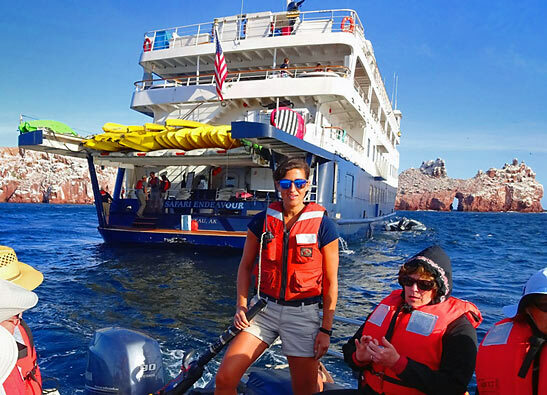 My 7-day journey concentrated on the Sea of Cortez, an area once described as the "world's aquarium" by legendary oceanographer Jaques Cousteau. 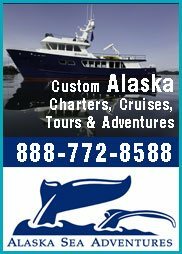 The trip began aboard the 230-ft-long Safari Endeavor, an 84-passenger exploration vessel designed to reach remote ports and beaches unavailable to most of today's large cruise ships. With amenities such as comfortable cabins, a gourmet kitchen and dining room, social lounge, fitness equipment, hot tubs, nature viewing areas, and a sports platform for swimming and launching kayaks and skiffs, the four-deck boat is a floating adventure waiting to happen. To get to the ship, a friend and I flew to Los Cabos International Airport, where we were met by representatives with Un-Cruise Adventures, who then transported us to a small, rustic harbor in the city of Los Cabos, Mexico, where we boarded. Once aboard the Endeavor, we met Captain Barrett Whitten and his crew, and enjoyed a cocktail welcome reception. 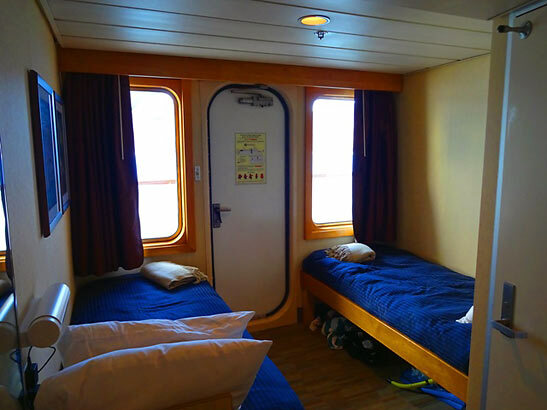 We were then escorted to our cabin on deck 3. And after a brief safety drill we lifted anchor and sailed into the Mexican sunset. 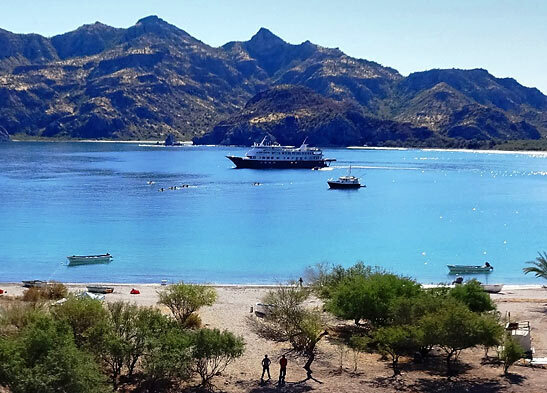 As the ship cruised north up the Sea of Cortez, it hugged the rugged coastline, giving passengers a preview of the week-long adventure ahead. There were endless miles of deserted beaches, jagged mountains and hidden coves to explore. And since this was an Un-Cruise small ship expedition, it meant docking in tiny bays, using snorkeling gear, kayaks and paddleboards to explore by water, and our feet to discover uncharted land. The Sea of Cortés, also known as the Gulf of California, is thought to be one of the most diverse seas on earth. In 2005 the islands of the gulf were inscribed as a UNESCO World Heritage Site, for natural beauty and diversity. The Sea of Cortés has been called the "world's aquarium"
Our first stop on the cruise was gorgeous and deserted Ensenada Grande. 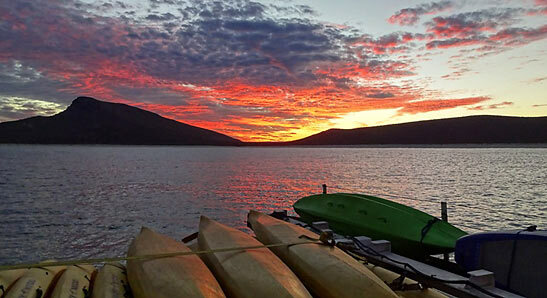 Located on Isla Partida, Ensenada Grande is part of a protected UNESCO biosphere reserve. 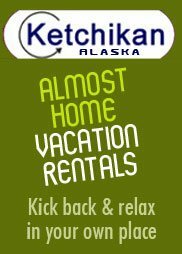 With the Endeavor anchored a few hundred feet off shore we took small skiffs to the beach, where we set up camp and went exploring. Along my hike, I discovered desert cactus hiding behind large sand bluffs, puffer fish skeletons and unique shells along the shore. I also dove in the clear turquoise water to keep cool in the tropical, 80-degree temperature. Back aboard the Safari Endeavor, we enjoyed a lunch of Cuban sandwiches and Mexican beer in the dining room, while the captain set sail for Agua Verde. While cruising the coastline, I found a window seat in the lounge and watched the magical scenery go by. In the morning, we opened our cabin door to find a postcard picture of craggy mountains, turquoise water and unspoiled beach before us. Once again, I realized the benefits of a "small" boat compared to some of the mega cruise ships out there. The Endeavor can drop anchor off pretty much any hidden island location. At Agua Verde we met a local rancher, who took us on a burro ride through canyons and mountains to experience the real Baja. Along the way, we encountered a desert oasis, numerous types of giant cactus, a lost beach, and listened to our guide sing Mexican Ranchero songs. Our next stop was no less beautiful. It was the charming mission town of Loreto. 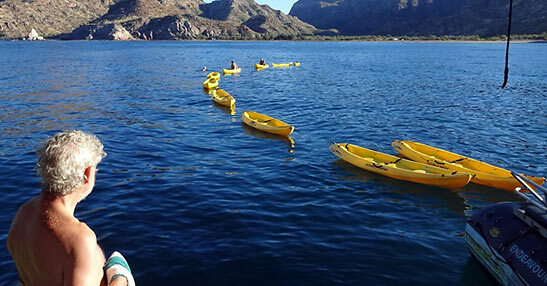 As the first Spanish settlement on the Baja California Peninsula, Loreto is located about 220 miles north of La Paz. 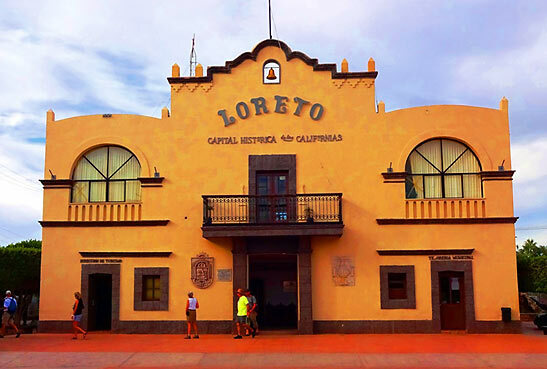 The town was founded in 1697 by Jesuit missionaries, who discovered fresh water in the area and erected the Misión Nuestra Señora de Loreto (Mission of our Lady of Loreto). Considered mother of all the missions in Baja California, the Mission of our Lady of Loreto has seen many renovations over the centuries and today features a sober Baroque style stone façade that welcomes town visitors above a grand plaza in the quaint downtown village. 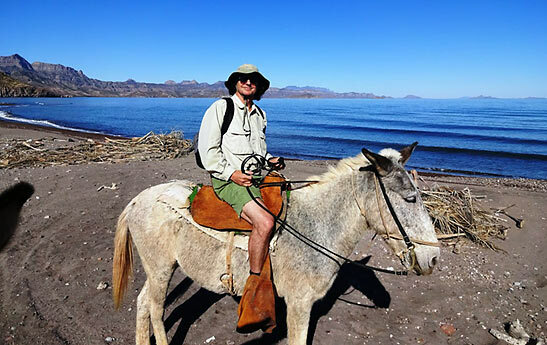 While touring Loreto, I visited the historic mission, walked along the sand, chatted with pleasant local fishermen in my elementary Spanish, and enjoyed the town's quiet, laid-back beach atmosphere. Back aboard the Endeavor, I had a glass of wine at the complimentary daily happy hour in the lounge, and then joined fellow passengers in the dining room, where the chef prepared a special wine pairing dinner with fish ceviche, lobster bisque, artichoke glazed lamb rack with mint chimichurri, and a dessert of Kahula chocolate mousse in tart shells. The next day, we dropped anchor near Los Islotes, a jagged and mysterious rock formation jetting from the sea, that is home to a colony of friendly, barking sea lions. While here, I hopped in a skiff for an up-close look at the creatures from above water, while other, more adventurous passengers donned wetsuits and joined the animals as they swam through underwater arches and swaying sea coral. But when it comes to encountering marine mammals in Baja California, there is nothing like Bahía Magdalena  home to migrating grey whales. To get to this whale wonderland, the Endeavor docked in Puerto Escondido, where all of us passengers loaded into vans and drove two hours across the beautiful Baja peninsula, past mountains, valley, lakes and deserts full of towering cactus. At the bay, we boarded small panga boats and floated into the serene, 30-ft deep lagoon. In a few minutes our captain/guide pointed to a "footprint" along the waters tranquil surface, an indicator that a gray whale was about to appear. And sure enough one did appear, and then another and another and even a couple babies. Soon, our 20-ft panga was "swimming" alongside a giant, 45-ft-long mother and her 15-ft baby. 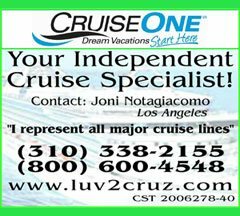 For more information on taking an Un-Cruise Adventure to Mexico or other destinations such as Alaska, Central America, Galápagos Islands, or Hawaii, visit: www.un-cruise.com.